As you know, the Synthesizer world is split in East- and West Coast designs. East Coast oriented instruments are almost always classic subtractive Synthesizers with multiple oscillators and minimum one filter. 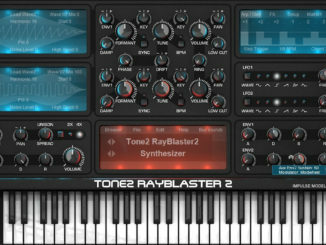 In contrast, West Coast synth designs offers different structures. Often there are no filters at work but wave-shapers and other features that gives musicians & sound designers a lot of playroom to form new sounds. 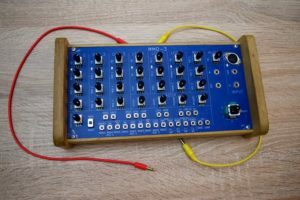 One of these very unique hardware Synthesizers is the MMO-3 by Nozoïd from France. This has no filters onboard but its core is based on simple sine waves which can be further deformed with various shaper functions. The heart of the MMO-3 monophonic Synthesizer consists of three sine waves oscillators which have all the same sound character. These three oscillators can than be further processed using various shaper functions: frequency modulation (FM), amplitude modulation (AM), phase modulation (PM) and wave-shaping modulation (WSM). These individual functions are not located here in one place like classical Synthesizers but are freely mappable. Each oscillator has three modulation parameters for this purpose, which you can freely assign with functions. For example, FM only on the first oscillator and on the second only PW and AM. This allows a very modular operation without using patch cables. Musicians can design their own FM Synthesizer with the desired modulation parameters. If you work a few hours with the MMO-3, you will not miss a classic filter anymore. Thanks to the various shaper functions, you can quickly achieve sounds that are not possible with an east-coast oriented instrument. Here is mainly in the foreground to add harmonics and less to remove them. It’s really fun to transform the individual sine waves and thus to design very specific and unique timbres. A big advantage of this method is that one can almost always achieve new sounds and repeats less. Beside the 9 custom mappable modulation parameters, the MMO-3 features also three powerful LFO’s. Each LFO is here very unique and operates in a unique way. LFO 1 applies here a shape morphing function that morph nicely between triangle, saw, sinus, square and pulse. With LFO 2, the whole modulation thing gets more exciting. LFO 2 features an amplitude modulation of 2 sinusoid that produce very interesting shapes. It gets even more exciting with the LFO 3, which offers five different options for users to use it. With the help of the matrix on the bottom of the device, you can switch between 5 different types and quickly develop exciting and unusual shapes. 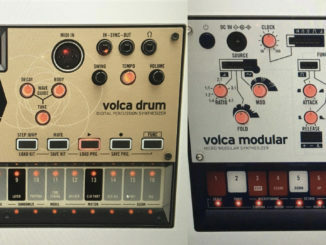 These types are available: shape morphing (LFO 1 and LFO 3), amplitude modulation (LFO 2 and LFO 3), frequency modulation (LFO 3), triangles (LFO3) and steps (LFO3). Often classic Synthesizers are limited to classic waveforms (saw, triangle,…) in the LFO spectrum. The MMO-3 breaks through this limitation very beautiful and thus allows very specific unique modulations. Small movements up to very rhythmic LFO’s are possible here. Since it’s very easy to achieve audio-rate modulations, experimental digital sounds are possible without problems. Especially the steps function of LFO 3 can be used in a very creative way because it allows users to design rhythmic step modulations. 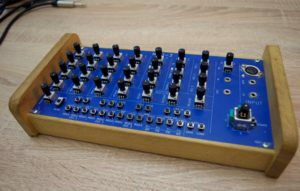 With this unique LFO feature, you can compensate a bit the missing sequencer inside the MMO-3 Synthesizer. Beside oscillator and LFO section, it features also a classic ADSR (attack, decay, sustain, release) envelope that mainly controls the sound amplitude, but is also freely assignable to any sound aspect (shaper,…) as a modulation signal. At first glance, the envelope looks relatively simple but this is wrong because you can use it in different ways. So you can use it differently in the Gate or LFO3 mode. 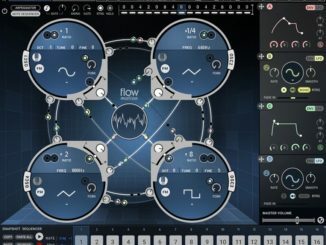 It’s also relatively fast and allows musicians to quickly build short percussive sounds or even long drones.